Bigger not necessarily better? Possibly…Ford has been hit with a proposed consumer fraud class action lawsuit alleging the company sold car jacks with sports vehicles that are too small to fit their lifted trucks, so that car owners are unable to change their tires. Filed in Oklahoma federal court, by lead plaintiff Matthew W. Leverett, the proposed national class action alleges the Ford’s trucks have a manufacturer’s window sticker that indicates that the vehicles come equipped with a jack and spare tire. However, the sticker doesn’t disclose that the jack and spare tire are only compatible with so-called stock trucks of the same model, and not with the higher lifted trucks, the plaintiff contends. According to the Ford complaint, Leverett’s 2017 Ford F-250 Super Duty Truck came with a jack that isn’t compatible with his vehicle because the tires on his truck are larger and the ride heights are higher than so called stock trucks. Leverett asserts Ford failed to inform him of the car jack’s deficiencies when he purchased the truck. “Each person who has purchased or leased a lifted truck during the time period relevant to this action was injured by overpaying for a vehicle that did not come equipped with a functioning jack and spare tire, as Ford represented, and as each purchaser would have reasonably expected,” the lawsuit states. “These jacks cannot safely be used on, and are not compatible with, the relatively higher frames of the lifted trucks,” the complaint states. Further, Leverett asserts that before buying the 2017 Ford F-250 Super Duty Truck, he was told the lift kit and larger tires were covered under a vehicle service agreement he purchased through Ford Motor Credit Company LLC, a division of Ford Motor Co. However, after buying the truck, he discovered the lift kit and larger tires were not covered by Ford’s manufacturer’s warranty. Leverett seeks to represent a class of car users who have had similar experiences. The proposed class action claims violations of the Oklahoma Consumer Protection Act and breaches of the implied warranties of merchantability under the Uniform Commercial Code. Leverett is seeking damages and equitable and declaratory relief on behalf of himself and a nationwide class and a statewide class of individuals who purchased or leased one or more new Ford trucks equipped with a lift kit and larger-than-stock tires. Last week it was Ford Transit vans making class action headlines, this week it’s Lift Kits. What next, I wonder? The case is Leverett et al. v. Ford Motor Co., case number 5:17-cv-00751, in the U.S. District Court for the Western District of Oklahoma. Shhhh—it’s a secret! Well, actually, it’s just not finalized. What, you ask? An $11.2 million settlement has been reached in the data breach multi-district litigation (MDL) pending against the dating site Ashley Madison, formerly known as Avid Dating Life Inc., and its parent company Ruby Life Inc. There may be millions of plaintiffs seeking compensation from the settlement, as the 2015 data breach affected some 37 million users. The MDL joins multiple lawsuits filed against the dating website, which catered to married people. Ruby has stated that since the data leak it has enhanced its measures to protect client data. According to the terms of the proposed settlement, funds will be available to reimburse customers who paid for “full delete” services, reimbursements for credits on the website they may have pre-purchased and any losses caused by the data breach of up to $2,000. Class members may receive a maximum of $3,500 each, according to settlement documents. The proposed program to notify potential class members will ads in People magazine, Sports Illustrated and more than 11 million targeted digital banner ads. That will probably be the best exposure the now defunct website ever receives. The case is In Re: Ashley Madison Customer Data Security Breach Litigation, case number 4:15-md-02669 in the U.S. District Court for the Eastern District of Missouri. And while we’re talking scandals… This week, Chicago Mayor Rahm Emanuel and his administration said they’d pony up $38.75 million to settle an unfair business practices class-action lawsuit alleging the city failed to provide motorists with adequate notice regarding red light camera and speed camera operations within Chicago. The lawsuit was brought by attorney Jacie Zolna in 2015, claiming the city violated its own rules by failing to send a second notice of a violation before guilt was determined, and by doubling the fine for late payment of tickets sooner than allowed. Several lawsuits were brought and the attention they received unearthed a massive scandal and corruption in Chicago’s city hall. A Chicago Tribune investigation exposed a $2 million City Hall bribery scheme that brought the traffic cameras to Chicago as well as tens of thousands of tickets that were unfairly issued to drivers. According to the terms of the settlement, more than 1.2 million people could be eligible to receive payment for half of the costs of their tickets. Zolna said those who qualify will receive letters in the mail in upcoming months notifying them they were part of the lawsuit, the Chicago Tribune reports. That’s a wrap for this week. See you at the bar! Walmart Not on Board with Babies? Well actually moms-to-be. Yes, Walmart is back in the news again…this time, Walmart is facing a potential discrimination class action lawsuit alleging the world’s largest retailer discriminates against pregnant women. Filed by Talisa Borders and Otisha Woolbright, the complaint claims Wal-Mart forced pregnant workers to perform tasks that employees with similar limitations were excused from. The named plaintiffs seek to represent a class consisting of all pregnant women who worked as Wal-Mart employees and were denied accommodations between March 2013 and March 2014, the period during which the defendant issued a revision to its disability accommodation policy that changed how pregnancy was classified. The lawsuit states that managers at Wal-Mart’s O’Fallon, Illinois, store where Borders worked, refused her request to follow her doctor’s advice and avoid climbing ladders and heavy lifting. Rather, Walmart placed her on unpaid leave, according to the lawsuit. When Borders returned to work, she was not reinstated to her old position in the store pharmacy but was instead assigned to a number of lower-paying positions, the complaint asserts. Further, according to plaintiff Woolbright, who worked as an associate at a Jacksonville, Florida, location, she was denied permission to follow medical advice and avoid heavy lifting or a transfer to another position until she sustained an on-the-job back injury. Woolbright states she was terminated just three days after requesting information on the company’s childbirth leave policies. According to the proposed class action, Walmart had a three-tier disability policy, up until March 2014, with employees who sustained on-the-job injuries, pregnant employees and employees with all other disabilities receiving different treatment. Consequently, Borders was denied ladder and lifting accommodations that were granted to employees with similar medical limitations from on-the-job injuries, and Woolbright’s accommodation was denied until she sustained her on-the-job injury, the lawsuit asserts. The case is Talisa Borders et al. 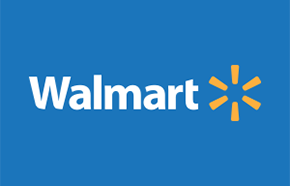 v. Wal-Mart Stores Inc., case number 3:17-cv-00506, in the U.S. District Court for the Southern District of Illinois. Airbag Settlements… And so it begins—this week—$553.6 million in settlements were agreed in multi-district litigation (MDL) involving Toyota, Subaru, Mazda and BMW, which will see the automakers pay the sum to end claims brought by plaintiffs over alleged defective Takata airbags. To date, the airbags, which can explode, have been linked with 11 deaths in the US. According to the terms of the airbag settlements, BMW of North America LLC will pay $131 million, Mazda North American Operations will pay $75,805,050, Subaru of America Inc. will pay $68,262,257 and Toyota Motor Corp., $278,500,000. Some 15.8 million vehicles currently have the defective airbag inflators installed, and the settlement is meant to expedite their removal. Additionally, compensation will be provided to class members who suffered economic losses as a result from the Takata air bag recall, such as car rentals. Additionally, a customer support program will be initiated that includes an extended warranty. More than nine million Toyota vehicles, 2.6 million Subaru vehicles, 2.3 million BMW vehicles and 1.7 million Mazda vehicles, are covered by the settlement, according to the plaintiffs. The airbag settlements also provide compensation to class members for their economic losses resulting from the recall in the form of reimbursement for reasonable out-of-pocket expenses; a possible residual distribution payment of up to $500; requirements to provide rental cars to the most at-risk class members while they wait for their recall remedies; and the provision of a customer support program for repairs and adjustments on the replacement inflators, including an extended warranty. Further, a new independent outreach program that seeks to dramatically increase recall remedy completion rates will be established. 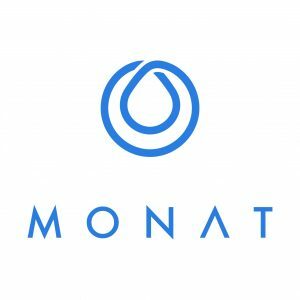 The program will regularly contact class members through direct mail, phone calls, email, internet ads and social media to educate them about the settlement and incentivize them to receive the recall remedy and exercise their rights under this agreement. Toyota, Subaru, Mazda and BMW are the first automakers to exit the massive MDL, which covers the largest auto recall in US history. J&J to Pay after Mesh Verdict… What’s that expression—three strikes and you’re out? This week, a $20 million verdict was awarded against Johnson & Johnson (J&J) in punitive damages, in the third bellwether Ethicon pelvic mesh injury lawsuit, part of the pelvic mesh mass tort. The 12-member jury hearing the case in Philadelphia returned the verdict after testimony was given by Plaintiff Margaret “Peggy” Engleman, demonstrating she suffered life-altering injuries when the mesh eroded inside of her. The mesh lawsuit verdict also includes a $2.5 million award for compensatory damages. According to court documents, Engleman alleged she had underwent surgery to implant Ethicon’s TVT-Secur mesh to help with her stress urinary incontinence. However, just two months later, her doctor discovered erosions in the material. She claimed that the eroding mesh began causing her pain and she was eventually forced to undergo three additional surgeries, under anesthesia, to remove the material. However, portions of the mesh remain in her body and she has developed chronic pain and urinary dysfunction, according to court papers. Engleman alleged that Ethicon’s TVT-Secur mesh was “defective in design, warnings and instructions” and that J&J released the product to market in full knowledge of the significant risk associated with the mesh implants, specifically, that the mesh would erode inside patients. Honda in trouble—again? The got hit with a defective automotive class action lawsuit this week, over allegations of noxious fumes entering into the cabins of its 2015, 2016 and 2017 models of its CR-V sport utility vehicles. Sounds unpleasant, on a number of fronts. The lawsuit also alleges Honda is guilty of consumer fraud, as it states the automaker knowingly sells cars with a defect causing the passenger cabin to fill with gasoline fumes. Honda has so far refused to take the cars back, or offer to replace or repair the vehicles. 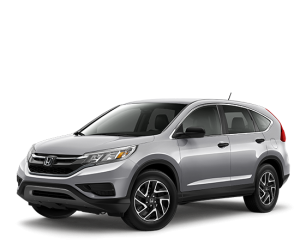 According to the Honda CR-V lawsuit, new Honda vehicles come with a three-year or 36,000-mile warranty that provides free repairs or replacement of the vehicle for problems arising from defects in its design or construction. However, the plaintiffs state that when they complained to Honda about the alleged fumes, the company declined to honor the warranty. The plaintiffs claim the fumes are bad enough to keep them from driving the car, causing them to suffer headaches and stomach pain. They describe the smell as “intermittent and pungent” and doesn’t seem to be affected by the speed or duration of driving. The majority of the plaintiffs claim they first noticed it within a year of purchasing or leasing their CR-Vs.
“Plaintiffs and class members have no confidence and peace of mind in a manufacturer that continues to sell vehicles it knows reek of gasoline yet refuses to repair or replace as required by its warranty,” the lawsuit states. According to the lawsuit, Honda has received hundreds of complaints regarding the fumes, dating back to July 2015. While Honda has acknowledged the problem, it said it does not know how to fix it. The proposed class seeks to represent anyone who purchased a 2015, 2016 or 2017 CR-V, who complained to Honda about the leaking vapors, and who did not receive a repair or replacement of the car. The lawsuit states that Honda is in breach of its own warranty and in violation of several state consumer fraud statutes. It seeks compensatory damages for the class. The putative class is represented by Alexander Loftus of Stoltmann Law Offices PC. The case is Carol Miles et al v. American Honda Motor Co. Inc., case number 2017-CH-06331, in the Circuit Court of Cook County. Heads up! —pardon the pun—if you purchased WEN hair products. This week, a $26.25 million settlement was reached in a consumer fraud class action lawsuit pending against WEN by Chaz Dean Inc. and manufacturer Guthy-Renker LLC. The lawsuit alleged that the celebrity stylist’s hair products caused consumers’ hair to fall out. In addition to hair loss, the plaintiffs alleged the WEN products contained sulfates when they were marketed as “sulfate-free.” Further, WEN and Guthy-Renker were aware of the problems for at least four years due to tens of thousands of customer complaints, yet issued no recall, according to the lawsuit. The litigation has been going on for three years and involves, potentially, millions of customers. If the proposed settlement receives final court approval, WEN will be required to place a warning label on its Cleansing Conditioner. The proposed WEN settlement establishes two avenues of compensation for class members: the first, a flat $25 refund for those who bought the products, and the second would be awards of up to $20,000 for those who used the product and experienced hair loss or scalp pain. The settlement class covers consumers who purchased WEN hair care products between November 1, 2007, and August 1, 2016. Final court approval is required. The case is Amy Friedman et al. v. Guthy-Renker LLC et al., case number 2:14-cv-06009, in the U.S. District Court for the Central District of California. FedEx to deliver—on unpaid overtime. Yup. This week, a $227 million settlement agreement received final approval ending an unpaid overtime class action lawsuit between FedEx Corp and its drivers in 19 states. The plaintiffs alleged they were misclassified as independent contractors by FedEx, rather than full time workers, and were therefore undercompensated. According to FedEx settlement documents, 12,627 drivers are named as plaintiffs in class-action lawsuits in the 19 states. They will receive payouts ranging from $250 to in excess of $116,000, under terms of the separate settlements in each state. Specifically, the Samsung Galaxy lawsuit alleges that as a result of the defect, Samsung customers had to wait days or weeks for a replacement phone. In the meantime, they’re charged monthly fees by carriers for phones they can’t use. The three plaintiffs from New Jersey who filed the suit allege users should be compensated for the money they paid for devices and plan charges to cellular operators while the South Korean phone maker took its time replacing and finally discontinuing the Note7’s. 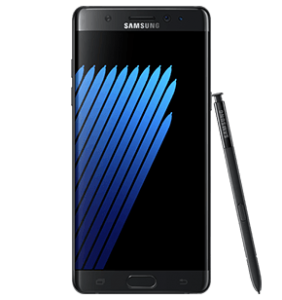 The complaint alleges that many Note7 users were unable to use their devices due to the possibility they could overheat and burst into flames. When consumers who tried to exchange their phones during the initial recall period, they were often unable to because of limited stock. Consequently, some customers were told that they would have to wait weeks until a replacement phone was available. “It was not until September 21 that Samsung announced that it would begin the Note7 exchanges nationwide. And even on that date, only an estimated 500,000 replacement devices had arrived in the United States,” the complaint states. Further, the complaint alleges that users incurred monthly device and plan fees during that same period from their phone carriers. Bed, Bath & Beyond has gone Beyond, according to the details of an unpaid overtime class action lawsuit filed by former department and assistant managers. They claim the retailer is in violation of the Fair Labor Standards Act (FLSA). The allegations in the Bed, Bath & Beyond overtime lawsuit are that BB&B improperly denied the plaintiffs overtime by not meeting the FLSA requirements for a “fluctuating work week” model, which are that employees’ hours to change from week to week, they have a fixed salary that meets minimum wage requirements, and a 50 percent overtime premium for hours worked in excess of 50 hours. According to the lawsuit, the Bed Bath & Beyond department managers had relatively stable schedules and did not meet the fluctuating work week model. The plaintiffs also assert that assistant managers were unlawfully classified as exempt employees who did not receive any overtime pay, that the company violated labor laws by failing to provide a wage notice at the time of hire outlining terms and conditions, and that employees didn’t properly receive pay stub information. “Consistent with defendant’s policy and pattern or practice, plaintiffs regularly worked in excess of 40 hours per workweek without being paid at premium overtime rate 1.5 times of their respective regular rate of compensation for the hours they worked in excess of 40 per workweek,” the complaint states. The plaintiffs are claiming violations of the FLSA and state labor laws, and seek unpaid overtime wages, liquidated damages, prejudgment and post-judgment interest and attorneys’ fees. The complaint seeks to create a collective action for FLSA overtime compensation violations, consisting of those who are or were department managers or assistant managers from October 2013 through the present. Additionally, the lawsuit seeks to create a class of all non-exempt Bed Bath & Beyond employees within the past six years for failure to pay overtime and failure to provide proper wage notice at the time of hiring. The case is Thomas et al. v. Bed Bath and Beyond Inc., case number 1:16-cv-08160, in the U.S. District Court for the Southern District of New York. Poached Dreams? If this doesn’t prove it pays to stand up for yourself, what does? A $50 million settlement has been agreed in an antitrust anti-employee poaching class action lawsuit pending against Dreamworks Animation. The lawsuit, filed in 2014, alleged that the animation company perpetuated a “no poach” gentleman’s agreement with other studios over the hiring of animators. Gentlemen’s agreement? The group has asked the court to grant preliminary approval of the Dreamworks settlement, calling it fair and reasonable. They stated that the money represented about 40 percent of the damages sustained by class members, who were previous employees of Dreamworks, as a result of the scheme. The lawsuit targeted some major studios including The Walt Disney Co., Pixar Inc., DreamWorks Animation SKG Inc., Lucasfilm Ltd. and ImageMovers Digital LLC. 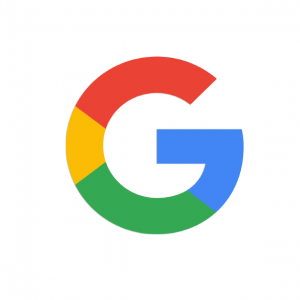 The allegations of colluding to stop poaching and driving up pay rates, resulted from a U.S. Department of Justice probe into the hiring practices of Silicon Valley businesses. Earlier this year, the animators, while pushing for class certification in their case, told the court that the studios’ collusion dates back several years and suppressed their pay by as much as 30 percent in some years. The case is In re: Animation Workers Antitrust Litigation, case number 5:14-cv-04062, in the U.S. District Court for the Northern District of California. Travel Insurance Woes…A consumer fraud complaint against American Airlines took off this week, alleging the airline markets travel insurance as a pass-through charge paid to a third party but doesn’t disclose its profits. Filed by Kristian Zamber, the multi-million dollar complaint asserts American Airlines misled its customers about its interests in selling the insurance policies and that it aggressively marketed travel insurance sold through its website. The American Airlines lawsuit is seeking class certification, a jury trial and injunctive and equitable relief for alleged unjust enrichment and violations of Florida’s consumer protection statutes prohibiting companies from posing as revenue conduits. According to the complaint, Zamber paid roughly $24 to purchase travel insurance in April for a domestic flight from Tampa to Pennsylvania. American Airlines stated the policy had no affiliation with the airline, but instead came from Allianz Global Assistance, with plans underwritten by Jefferson Insurance Co. or BCS Insurance Co. But in reality, the policy sales contributed to a “hidden profit center” for the Fort Worth, Texas-based airline, the complaint states. The complaint also claims the airline forces customers to choose whether or not to purchase trip insurance policies before allowing them to complete online ticket purchases. Yup—been to that destination…. Touch Disease has Spread North of the border. Apple is facing a defective products class action lawsuit in Canada over allegations that it’s iPhone 6 and 6 Plus models have a defect which effectively results in the smartphone freezing or not responding to touch commands. Following on from a similar defective products lawsuit filed in the US, the Canadian lawsuit claims Apple was aware of the problem but failed to take action to remedy it. Filed at the Court of Queen’s Bench for Saskatchewan, the Canadian iPhone complaint would include all Canadian iPhone 6 and 6 Plus customers. It alleges that Apple was negligent because it supplied a defective phone, “knowingly and intentionally concealed” from customers the defect and failed to provide a proper remedy. According to attorneys who filed the Canadian complaint, Apple has so far only offered its customers around $300 as compensation. Shortly after the product was launched in 2014, one of the plaintiffs in the class action alleges she bought the iPhone 6 for around $200, hundreds of dollars less than the regular price because she locked into a two-year phone plan contract. Then, a few months after the warranty had expired on her phone, it began to intermittently freeze up and failed to respond to touch commands. The lawsuit alleges that that the underlying problem is the touchscreen controller chips in the phone’s motherboard, which are not properly secured and can malfunction with regular use. Here’s a whopper—but then the size of the Volkswagen defeat device scandal is, likely, unprecedented. A $1.2 billion settlement has been reached between Volkswagen AG and 650 US VW franchise dealerships, ending litigation brought by the dealerships over the VW emissions scandal. Specifically, the dealerships alleged that the value of their businesses had decreased as a result of Volkswagen’s attempts to cheat on vehicle emissions tests through its so called “defeat devices.” According to documents filed Friday in California federal court, the deal will provide an average payout of $.185 million to each Volkswagen-branded franchise dealer in the US. Additionally, the VW settlement provides for VW buying back from its franchisees, affected vehicles that can’t be put into emissions compliance, using the same terms granted to car owners as part of the tentative consumer settlement. Further, there will be no claims process, as dealerships that don’t opt out of the settlement will automatically receive a cash payment based on a formula of 71 times the monthly support payment VW made to dealers in November 2015. Take it or leave it? Almost. The MDL is In re: Volkswagen “Clean Diesel” Marketing, Sales Practices and Products Liability Litigation, case number 3:15-md-02672, in the U.S. District Court for the Northern District of California. Heads up—literally… for anyone who’s used SoftSheen-Carson Optimum Amla Legend No-Mix, No-Lye Relaxer. A defective products class action lawsuit has been filed by two women in the US against L’Oréal alleging the hair relaxer kits causes hair loss and scalp burns. Ouch! 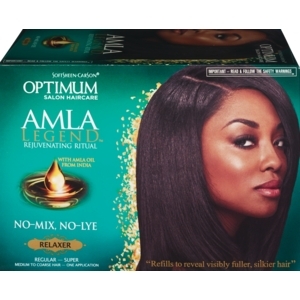 While the advertising claims it helps Afro-Caribbean hair to feel fuller and silkier through the inclusion of amla oil from the Indian amla super fruit, the plaintiffs allege that thousands of women who bought and used the product have suffered distressing injuries including hair loss and breakage, and scalp irritation, blisters and burns. According to the SoftSheen Relaxer complaint, despite not listing lye as an ingredient, the inclusion of lithium hydroxide can cause damaging effects like those experienced by the women who used the product. Further, it’s also not clear as to whether the product truly is a ‘no-lye’ relaxer as the retail lists sodium hydroxide in the products’ ingredients online. Dorothy Riles, one of the key plaintiffs behind the lawsuit, claims that when she used the product she was left with bald patches, burns and scabs forcing her to wear a wig. Another key plaintiff claims that when using the product she immediately experienced scalp irritation and, after washing it out, she saw “significant” hair loss. The plaintiffs are demanding that L’Oréal is tried by jury and are seeking compensation on the grounds of false advertising, unfair competition, consumer fraud, deceptive business practices, breach of express warranty, breach of implied warranty of merchantability, unjust enrichment, fraud and negligence. Shrinking Credibility at School? A $11.2 million settlement in a consumer fraud class action lawsuit pending against The Chicago School of Psychology has received final approval. The lawsuit was brought by students who alleged they were provided with misleading information regarding the school’s accreditation and their job prospects after completing their courses. The Chicago School settlement will provide financial recovery for 87 students who are class members. The average payout will be $95,000 per student. Plaintiff Miranda Joe Truitt and other students filed the complaint in November, 2012 claiming they invested in a worthless education. They wanted to study at the Chicago School of Professional Psychology and were encouraged to attend classes at the graduate university’s Los Angeles campus, which was falsely promoted to them as being prestigious and accredited by the American Psychological Association (APA). According to the settlement documents, the plaintiffs were “either negligently lured” to enroll at the Los Angeles campus or were caused to stay “by a series of statements or omissions allegedly made, issued or approved by defendants.” In 2013, Tara Fischer filed a similar class action which was later consolidated with the Truitt’s complaint. According to Truitt’s complaint, the administration of the Chicago School of Psychology led the Los Angeles campus students to believe that they would get APA approval before their graduation. The case is Miranda Jo Truit et al v. The Chicago School of Professional Psychology, number BC495518, in the Superior Court of the State of California for the County of Los Angeles. Domino’s Pizza drivers got a delivery this week …in the form of a $995,000 award in a wage and hour lawsuit in Georgia. The action was brought against Domino’s franchisees Cowabunga Inc. and Cowabunga Three LLC, by drivers who alleged the franchisees shorted their drivers on vehicle expenses, resulting in the drivers’ pay going below below minimum wage in violation of the Fair Labor Standards Act (FLSA). The named plaintiff, Chadwick Hines, will receive a $7,500 service award. The final approval of the settlement ends the lawsuit filed against Cowabunga in 2015. Cowabunga, one of the largest singly owned Domino’s franchises in the U.S.
A total of 565 Cowabunga delivery drivers opted into to the case. 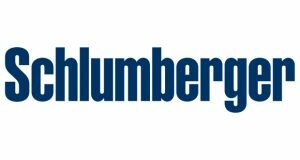 The drivers will receive damages from the $995,000 settlement in exchange for waiving their wage and hour claims against Cowabunga. The average award per driver is $1,138.